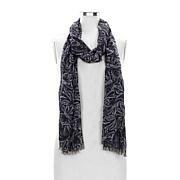 The perfect accessory that goes a long way, this versatile printed scarf can be worn in so many ways. 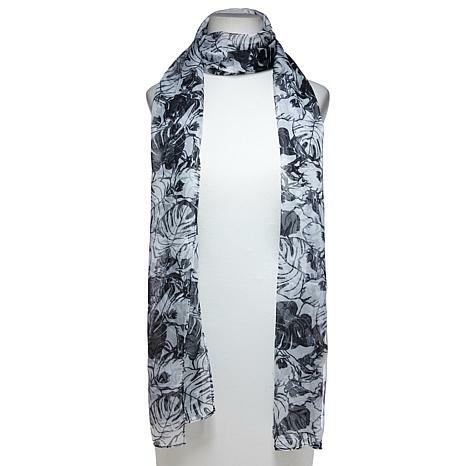 Drape it around your neck or tie at the waist for a pop of print that accentuates your outfit. Or wear it as a headpiece to top things off. I purchased one scarf and came back for more and i'm not done yet. Definitley going to purchase more. They are just beautiful and really add a nice touch to any outfit. Nice quality and light weight. 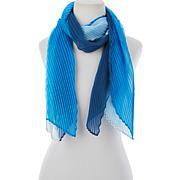 Great 3rd piece for spring and summer to elevate your look and still feel cool. 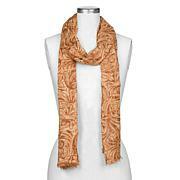 I love my scarves! I purchased 5 and found that I use them almost everyday!! Theyve zhooshed up my wardrobe and Ive found myself trying different ways to tie them!! 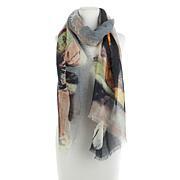 Love the colors in this Printed Chiffon Scarf. Thanks HSN. I'm a scarf girl for sure. My hubby always teases me about all the scarves hanging in my closet. Honestly tho, a festive scarf can really make a blah outfit POP!! Love the patterns and colorations Slinky manufactures. Keep it up!! Looks nice with the 3 piece outfits.